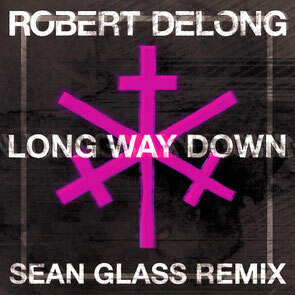 Glassnote Records recently announced that Robert Delong’s new single, ‘Long Way Down’, has been remixed by Sean Glass. The Sean Glass Remix premiered 21 March on KCRW as the kick off to Jason Bentley’s Metropolis radio show, and received its online premiere on Billboard on Monday. It will be up for sale on 31 March 31, along with a full EP featuring more remixes. The original EP, a follow­ up to his debut record, ‘Just Movement’, is currently available digitally everywhere. Robert released ‘Just Movement’ via Glassnote Records in 2013 and has apparently become a mainstay in the festival and touring circuit with his one­-man futuristic dance party. His live show has taken him across the globe playing festivals like Lollapalooza, Coachella, Bonnaroo, SXSW, Sasquatch!, Ultra Music Festival, Reading and Leeds, Pukkelpop, Rock en Heim, Budweiser Made in America, Treasure Island Music Festival, Voodoo Music + Arts Experience, Corona Capital, Splendour in the Grass, Groovin the Moo and Stereosonic in Australia, where his track ‘Global Concepts’ is certified platinum. His sophomore album is set for release worldwide in late 2015. This is Sean Glass’ first release as a producer. He founded his label Win Music in 2013 and has also worked with Glassnote Records for a while, even involved in the A&R side of Robert’s music. Sean is otherwise known as a DJ and event producer.